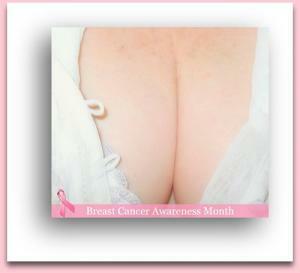 The treatment of breast cancer includes different approaches and basically involves surgery, chemotherapy and radiation. The order of these treatments is defined by the stage of the disease. The treatment mainly starts with the operation. After the operation, a women is given chemotherapy and after finishing this modality the radiotherapy is conducted. But this order may be modified depending on the stage of the disease and certain additional conditions and diseases a woman is suffering from. In some cases if the cancer is locally advanced, affects the skin or similar, it is recommendable for a women to first undergo chemotherapy and after that the surgery. In this way the mass of the tumor will be reduced and the surgery will be done much easier and be more effective. Also the operation will not be so extensive and disabling. The chemotherapy given prior to the surgery is called neoadjuvant chemotherapy. The neoadjuvant chemotherapy reduces the need for mastectomy by 17 % compared with postoperative chemotherapy. There were 14 studies with 5.500 participants in which some women were subjected to neoadjuvant chemotherapy and others received the chemotherapy after the operation. The results showed the higher rate of reoccurrences in women who received neoadjuvant chemotherapy but the overall survival rates were not affected. Some more studies showed that there was not a obvious difference between preoperative and postoperative chemotherapy. Basically if there is a need for a tumor to be reduced in size, this form of chemotherapy is first to be applied. Additionally after the regime is conducted the doctor may have insight in possible resistance of the tumor to certain chemotherapeutics. This is helpful as these are then avoided in the following postoperative chemotherapeutics regimes. Furthermore, the toxic side effects of repeated chemotherapy may be avoided. What is also important is that after conducting the neoadjuvant chemotherapy the breast conservation rate increases so that a woman may undergo the lumpectomy instead of having the mastectomy. This results in better aesthetics and more self-confidence of a woman. The side effects of both neoadjuvant and postoperative chemotherapy are actually the same. The women may lose hair, cardiac symptoms can occur , and nausea and vomiting as well as white blood cell disorders are regularly present. All in all, the advantages and timing of the potential neoadjuvant chemotherapy as well as side effects and disadvantages must be taken into consideration and examined thoroughly before the medications are administered. The benefit must exceed the potential harm. Is addition of preoperative radiation (20 Gy) and Actinomycin D to postoperative radiation better? Can you describe basic oral care needs during cancer treatment?